Aksharadhool: How hot is my Chili? How hot is my Chili? About fifteen or twenty years ago, I had watched a Bolywood film titled as 'Mirch Masala' or 'Spicy Chilies'. 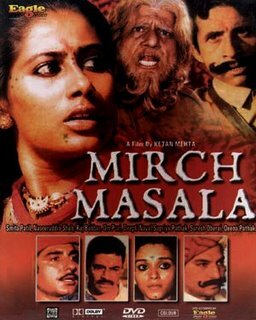 This film was a superb end product of effective direction, a powerful story and really top class acting by Late Smita Patil. I still remember vividly, the final climax scene in which the heroine, who is a working single girl from a village, and her co-workers, defend themselves against a local warlord or government official and his police, who are bent upon molesting and abducting the woman, by effectively using red chili powder. After watching that film, I had become acutely aware about effectiveness of red chili powder, as a powerful tool of individual self-defense. I do not know whether this film was a source of inspiration or not, for the scientists of The Defense Research Organization in India to take up a project and successfully develop the 'Chili stun grenades' as a personal defense weapon, using red chili powder. According to DRDO scientists, 'Chili stun grenades could be very effective means of defense against individual terrorists. These grenades also could be used to control uncontrollable and rioting mobs. These grenades neither inflict injury to any person against whom this weapon is deployed nor it is fatal. The target person is just stunned. Because of this reason, the chili grenades could be very effective in crowded places, DRDO scientists also have been able to come out with chili sprays, which can be used very effectively by individual females. 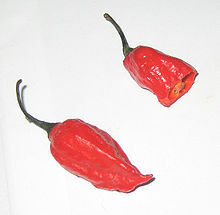 The Chili seeds after processing have been used in these grenades and sprays. The red chili, which might be crowned as the Hottest chili queen of the world comes from the northeastern state of India and is called as 'Bhoot Jolokiya'. This chili on Scoville scale gets 1 Million points. This chili is so hot that Indian soldiers deployed in this region use it for a novel application. If a bunch or cluster of these chilies is kept hanging outside a soldier's tent, it prevents any wild animal coming nearer to the tent, due to pungent and irritating smell of 'Bhoot Jolokiya'. A small trace of this chili, if mixed with food, makes it very testy and generates improved blood circulation and a feeling of warmth for soldiers on duty in cold climates. DRDO 'Chili stun grenade' makes use of the seeds of this 'Bhoot Jolokiya' chilies in their fabrication. Once this grenade cracks, the eyes of all persons in the vicinity are affected by turning blood red and watery to the extreme. Such affected persons start vomiting almost immediately and are forced to retreat. 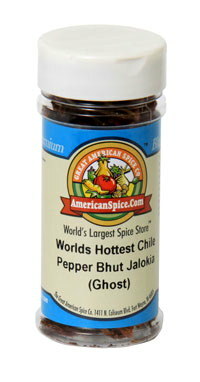 However there are persons, who are immune to the effects of 'Bhoot Jolokiya' chili. 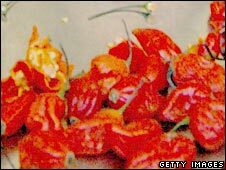 In 2009, a lady from 'Jorhat', Asaam, Ms. Anidita Dutt Tamuli, had made a record of eating 51 'Bhoot Jolokiya' chilies publicly. Such persons would have no effect of 'Chili Stun grenades' for sure. But DRDO scientists say that such immune persons are extremely rare and this chili weapon would prove effective against most of the rioters or extremists trying to ferment trouble.